IRVINE, CA--(Marketwired - June 20, 2017) - Free Wheelchair Mission (FWM) is celebrating a momentous milestone: one million wheelchairs given to those in need around the world since its beginning in 2001. 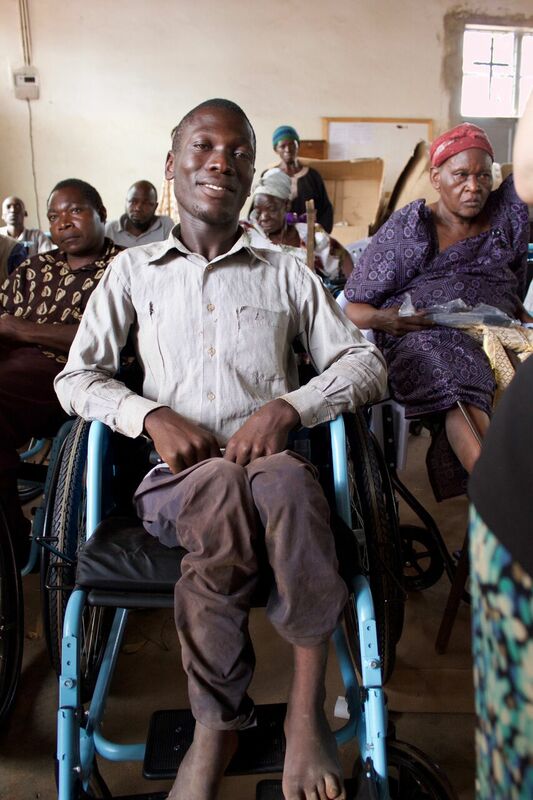 The Irvine-based humanitarian, faith-based organization provides durable and adaptable wheelchairs at no cost to people with little to no mobility in developing nations. While the cost of a wheelchair in the western world is significant, Free Wheelchair Mission has devised a method of producing and delivering the wheelchairs at a cost of just $80 per wheelchair, with funding coming from generous donors throughout the United States and other parts of the world. "We are both ecstatic and humbled to have reached one million wheelchairs," said Don Schoendorfer, president and founder, FWM. "Each wheelchair represents a life changed, someone who can now go to school or to work and can enjoy a life of mobility. It also represents a great network of generous supporters and committed partners dedicated to giving back and creating opportunity for people in great need around the world. We would not be here today without this support and are truly grateful to everyone who has helped Free Wheelchair Mission reach this goal." The organization will celebrate the millionth milestone at its annual Miracle of Mobility gala Thursday, July 13, at the Segerstrom Center for the Arts in Costa Mesa, Calif. Along with learning more about the organization's journey to deliver the millionth chair, gala attendees will also hear in-person, powerful stories from four wheelchair recipients who are traveling to Orange County from El Salvador, Jamaica, Uganda and Vietnam. Vo Thi Thuy Hien, the recipient traveling from Vietnam, dropped out of school in second grade due to the numerous treatments and surgeries required to treat a tumor on her spine. She eventually lost mobility, making it very difficult to not only return to school but care for herself. Now at 19-years-old, Hien can pursue an education in multimedia design, thanks to the mobility her wheelchair provides. Each wheelchair given represents a similarly heart-warming story. 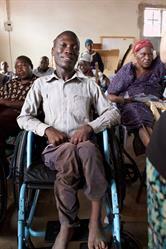 The statistics are daunting: there are an estimated 100 million people in need of a wheelchair and cannot afford one. Many are forced to live on the ground or must wait to be carried to meet their most basic needs. Receiving a wheelchair means more than mobility, it is a life-changing event that improves the health, well-being, and independence for the recipient and their family. Schoendorfer was inspired to begin Free Wheelchair Mission after a trip to Morocco, where he witnessed the plight of a woman struggling to drag herself across a busy thoroughfare. With this image seared in his mind, the engineer ultimately left a successful career in the biomedical field and turned his attention to solving this problem. He invented a basic, inexpensive, durable wheelchair that would fit the needs of this woman and the millions of others in similar situations across the developing world. The first wheelchair was essentially a plastic lawn chair with mountain bike tires designed to withstand the rugged terrain that many of the recipients live in. The wheelchairs have evolved to include two additional designs, including a foldable wheelchair. All three designs are available to recipients, and depending on the needs of an individual, the most appropriate is given for free. The wheelchairs have been distributed in 93 countries in partnership with a range of international humanitarian, government, and faith-based distribution partners. These partners also are trained to provide wheelchair maintenance and training to ensure each recipient knows how to use the wheelchair. Miracle of Mobility, which is open to the public, has emerged as one of the "Top 5 Dinners/Galas" in Orange County, drawing close to 800 guests and raising funds to provide more than 20,000 wheelchairs each year. Following a silent auction, dinner, and testimonies from the international recipients, guests will participate in a live mobility auction where they will have the opportunity to donate more wheelchairs and kick off the march to the next million. "When we first started our work, the goal was to change the life of each individual in need," Schoendorfer said. "That is still our goal, however, reaching one million makes us realize that we can help another million -- and then another million after that. There is so much need in the world for mobility solutions, and together we can make a difference, one wheelchair at a time." Free Wheelchair Mission (FWM) is a humanitarian, faith-based, nonprofit organization providing wheelchairs at no cost to people with disabilities living in developing nations. In collaboration with a network of like-minded partners, FWM has provided one million wheelchairs since 2001 to people with disabilities in 93 countries. FWM provides dignity, independence, and hope through the gift of mobility at a price of only $80. Learn more at freewheelchairmission.org. Vo Thi Thuy Hien, of Vietnam, dropped out of school in second grade due to numerous treatments and surgeries for a tumor on her spine. She eventually lost mobility. Now 19-years-old, Hien's dream is to pursue an education in IT or multimedia design and gain a life of independence. Waluganda Moses was born healthy in Uganda, but when he contracted malaria at the age of two, a reaction to the medication he received caused him to undergo an operation that rendered him immobile. Now at the age of 18, with his wheelchair Moses is able to attend vocational school, where he is learning how to repair phones, laptops, and radios. Amilcar Hernandez Juarez, of El Salvador, was born with spina bifida that left him unable to walk. After graduating from high school, Juarez learned the art of pinateria, but immobility had limited his ability to distribute his products. 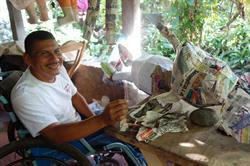 Thanks to his increased mobility he is able to expand his business opportunities and provide for his family. Gregory Grizzle, 39, incurred a spinal cord injury ten years ago, leaving him paralyzed from the waist down. 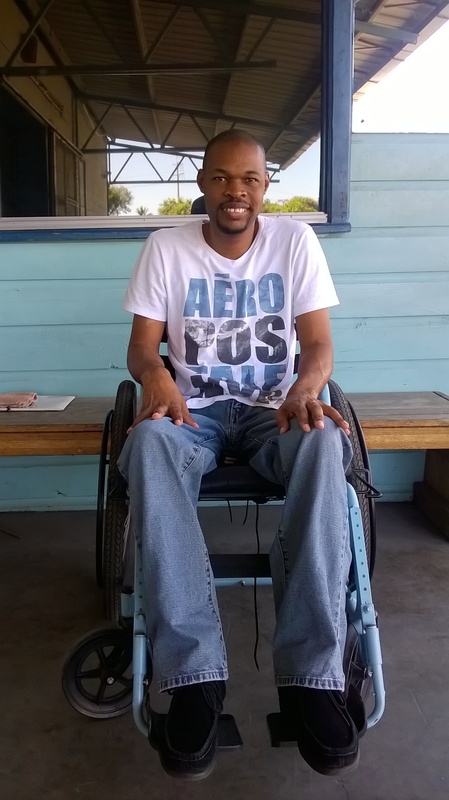 He currently attends Portmore College in Jamaica to further his education thanks to the transformative mobility his wheelchair provides.